Pixlr is arguably one of the best tools if you are looking to edit your photos online. The tool has functionalities similar to Photoshop. It supports multiple layers and has a bunch of editing tools. Best of all, it is also compatible with Photoshop whereby you can open as well as edit your PSD files. No doubt. Pixlr is great, but it is not the only online photo editor out there. 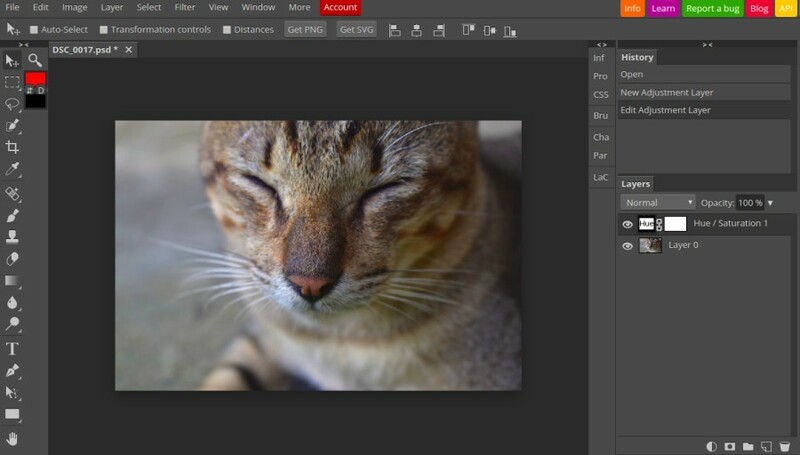 In case you want to try something different or probably once had a problem with it, following are the similar tools you can use to edit your photos online. One thing to note, Pixlr and most tools below are flash-based tools so you won’t be able to use it on Apple’s Safari. Photopea is one of the best online photo editors other than Pixlr. It is also has the compatibility with Photoshop whereby you can import your PSD files as well as edit them. In addition, you can also open as well as edit SVG (default file extension of GIMP) files. 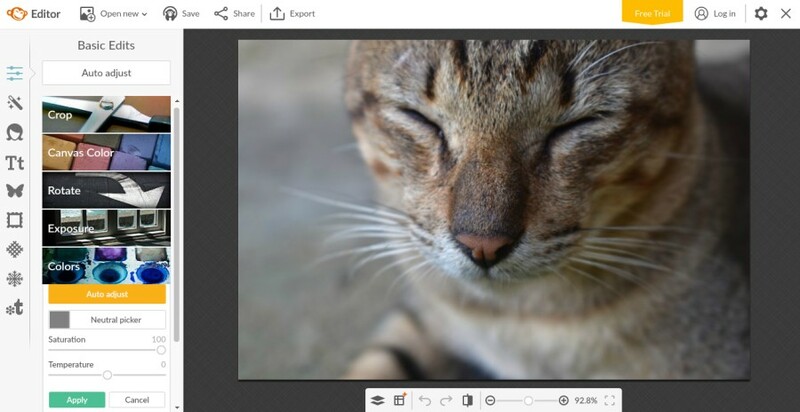 Photopea also has a bunch tools you usually see on desktop-based photo editors, including drawing tools. It also supports multiple layers. You can use Photopea without creating any account. Your works can be exported directly to a JPG, PDF or PNG. 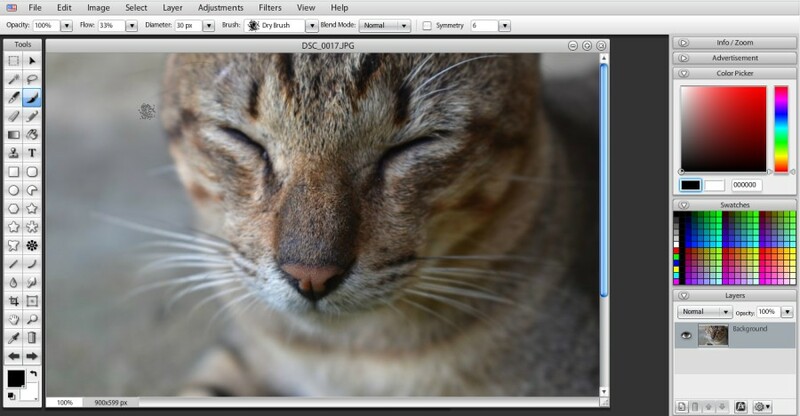 Photopea also lets you to save your work in a PSD format. Sumo Paint is available in two versions: desktop and web. The web version of Sumo Paint requires at least flash 10 to work. Since it is also a flash-based tool, you can’t use it on Safari web browser. Sumo also features sets of tools that make it comparable to Photoshop. However, it’s not compatible with Photoshop, meaning that you can’t open a PSD file with it. Same as Pixlr and Photopea, Sumo Paint also supports multiple layers. It also features a handy color picker. You can also use Sumo Paint for free without creating any account, but there are some benefits if you become a Sumo Paint member (by creating an account). Not as great as two tools above, but LunaPic is also good enough to perform basic photo editing. Basic adjustments like color saturation, brightness, color temperature, contrast and exposure can be performed with this tool. It also allows you to directly upload the edited images to sites like Imgur, Pinterest or Facebook. LunaPic also comes with a bunch of tools, but it doesn’t support multiple layers. In case you didn’t know, Photoshop also provides an online edition which you can use for free. Not as complete as the desktop version, but it’s capable enough of handling basic editing like adjusting the saturation, white balance, black and white or resizing the image. Again, the tool also requires flash to work so you won’t be able to use it on Safari. 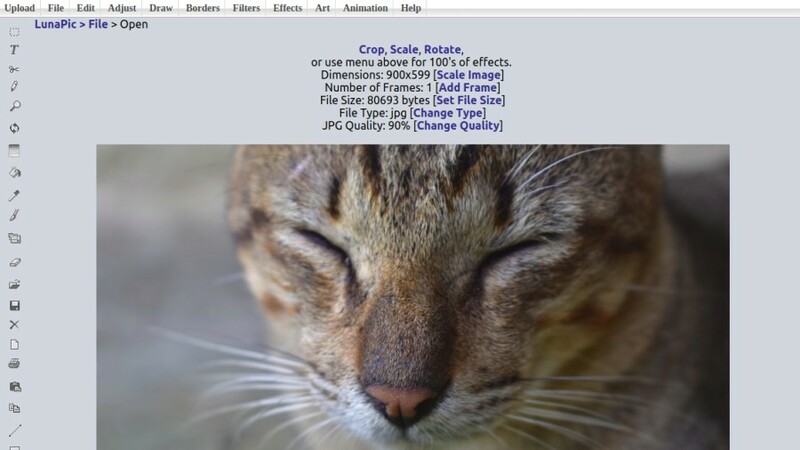 The tool also lets you saving the edited image in JPG. You can use the online version of Photoshop by visiting this page. Not the best tool to replace Pixlr, but BeFunky is nice enough to edit photos online. 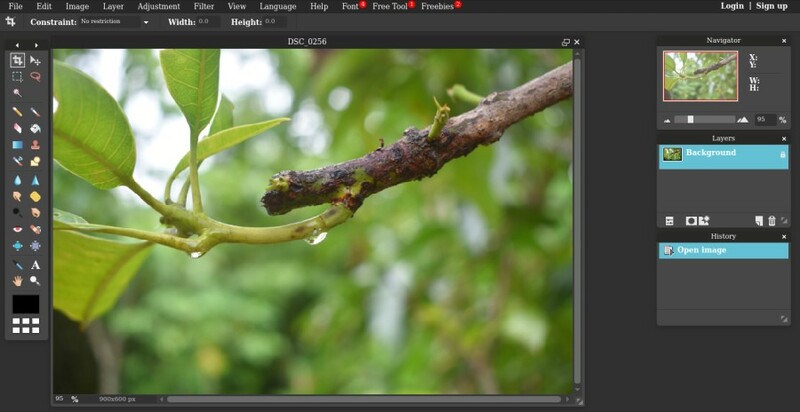 You can use it to perform basic photo editing like cropping, adjusting the saturation, setting exposure an so on. It also supports multiple layers. The use of BeFunky will be more ideal when you upgrade your free account. There are several presets you can use. Good if you are a Lightroom user who is looking for an online tool to work from anywhere. 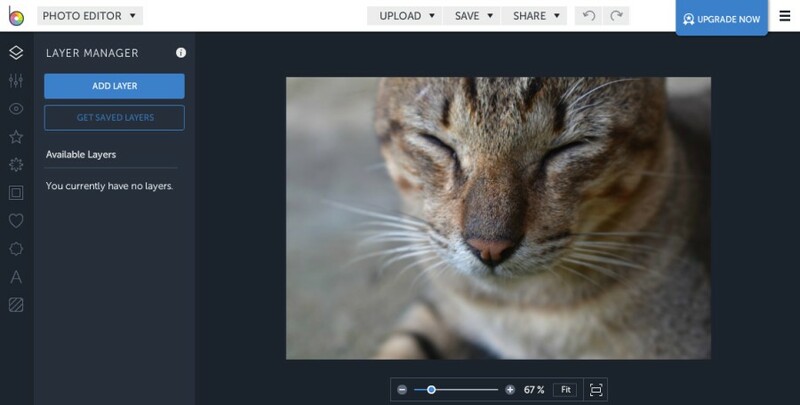 BeFunky allows you to upload the edited images directly to either Dropbox or Google Drive. The characteristic of PicMonkey is similar to BeFunky. It doesn’t have a set of tools like Pixlr. Instead, the editing tools is available as a sidebar. You can also use it to adjust the color saturation, color temperature, resizing the image and so on. The only problem is that PicMonkey is a premium tool so you can’t use it unless you want to spend monthly subscription fee. However, you have a chance to use the tool during the offered 30-day trial period. Previous articleCanva vs Piktochart. Which Design Tool You Should Use? I don’t understand why it’s so hard to find such things with Google. Thanks for the info man. I hadn’t heard of these.